Earlier this year, we started to measure our impact in a slightly different way. Many teachers and head teachers have remarked on the improvement in their pupils’ reading fluency, so it seemed important to try to capture what has been happening. Of course, there are different ways to define and to measure reading fluency, but here is a snapshot of what we found when using two types of assessment. Luke (not his real name) aged 11, attends an outstanding school in the East of England and according to the school’s tracking data in December 2015, his reading age was 8 years, 3 months, which was broadly in line with our baseline reading rate score using the Neale Analysis of Reading Ability (NARA II). Luke has SEN, but he participated in the Rhythm for Reading sessions with unwavering commitment. Although he was quite a bit younger, he quickly became the leader of a group of adolescent boys all of whom struggled with attainment across the curriculum. Luke’s teacher observed all of the sessions. She was amazed by his confident approach and said that this was a side of him that the staff at school had not seen before. The ten sessions of the programme ended in March 2016. Luke had gained 7 months in reading fluency (AAB)* and 35 months in sentence comprehension (AAB). His scores on the NARA II showed a gain of 13 months in accuracy, 8 months in comprehension and 38 months in rate of reading. Luke’s teacher observed his classwork and filled in a tick box survey, comparing his recent progress during the programme with his usual rate of progress. During the period from January to March 2016, his teacher observed that he’d made better progress than usual in using punctuation, understanding texts, participating in class and in his attitude towards reading. It makes me feel better. It makes me want to read more. I never wanted to read. I never used to read. Now I love reading. Hearing Luke read expressively and effortlessly on that day was wonderful, but to hear him proclaim his enjoyment of reading was such a privilege. I heard from his teacher at the end of June that all of the boys who had taken part had maintained their progress. *You might be wondering what the AAB is. The Academic Achievement Battery (AAB), constructed by Melissa Messer, was published in 2014 by PAR. The AAB is suitable for children and adults (4 - 85 years) and offers 15 subtests in reading, writing, spelling and arithmetic. There are two similarities between the sentence comprehension test from the AAB and reading comprehension as assessed by the Neale Analysis of Reading Ability (2nd British Edition), published by GL Assessment. Both tests assess comprehension while the pupil has the text in front of them. In other words, they are not being assessed on their capacity to remember the text. Like the NARA II, illustrations are an integral part of the AAB test, increasing the appeal of the format for reluctant readers with fragile word recognition skills. 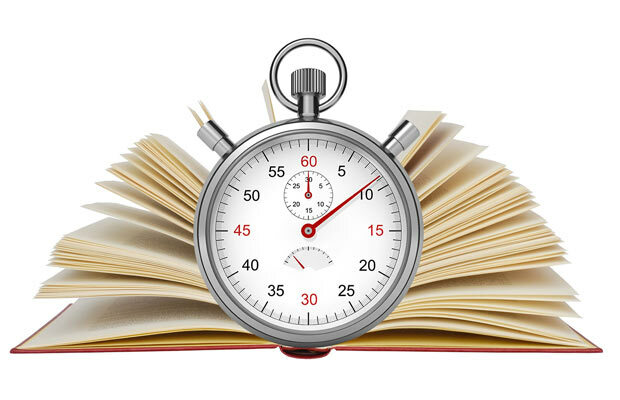 The AAB measures reading fluency as the number of correct words read in one minute. The obvious advantage of this approach is that it is quick and easy to use. However, it is not designed to capture the positive changes in expression and engagement with reading that we have become accustomed to hearing. More on this next time!